Dynabeads Tyre Balancers. 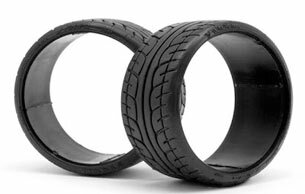 The dynamic way to balance your car tyres. If you have low-profile tyres, that being any tyre with an aspect ratio 65 or below, you may have balancing issues that precludes using Dyna Beads as the sole balancing method. The reason for this is that this type of tyre has a higher incidence of lateral imbalance, which is basically that one side of the tyre is heavier than the other side, creating a “wobbling” effect, or “shaking” of the steering wheel. This type of imbalance can only be corrected by careful placement of traditional weights on the wheel rim. That being said, the physics principle is still the same, and the addition of a Maintenance amount will usually* smooth out the ride, add additional mileage, and reduce, if not eliminate, any future rebalancing issues. * While Maintenance levels have been very successful with customers, there are too many variables for us to accurately predict its success in a particular vehicle/tyre type, and so we offer no assurance or guarantee using this method on your vehicle. **Does not apply to motorcycle or tractor trailers. NB: Please choose Standard Dyna Beads size at Checkout.